Published on 14 January 2014. This is Queen Victoria at sunrise this morning, overlooking Whitehall from her throne atop the Foreign and Commonwealth Office. She’s flanked by an absurdly tiny lion and unicorn, and four more reasonably sized classical figures. 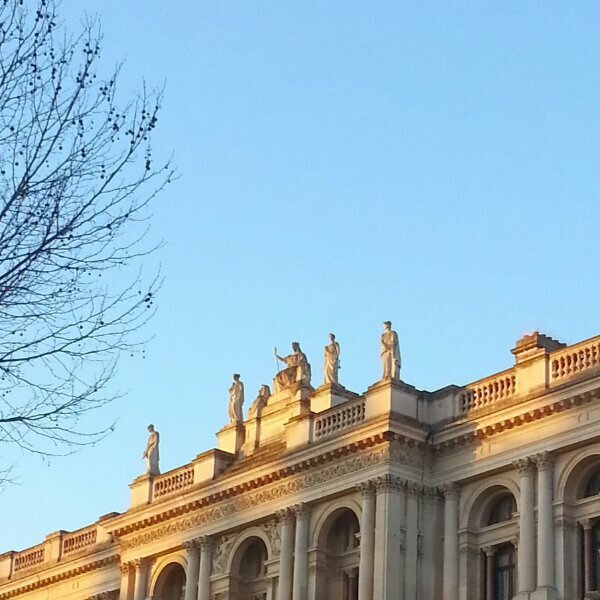 This 2,115th post was filed under: Photo-a-day 2014, Scrapbook, London, Queen Victoria, Whitehall.